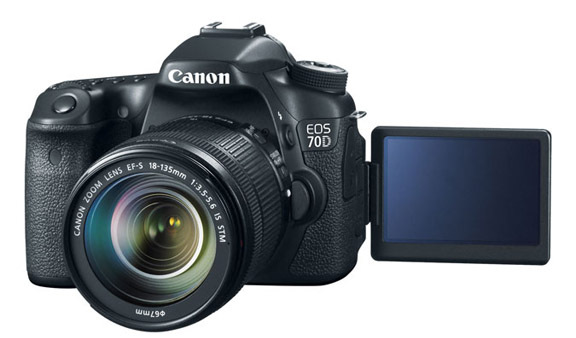 The Canon EOS 70D gets editor's pick. Why does that matter to you? It was posted in "choice gear of the year section" in the December 2013 issue of Outdoor Magazine. This Canon DSLR was also highlighted in the "Best Cameras Under $1,000 article although the price tag was a little above that figure at the time of this writing. You can get an EOS 70D at a big savings now that the 80D has been on the market for a while. 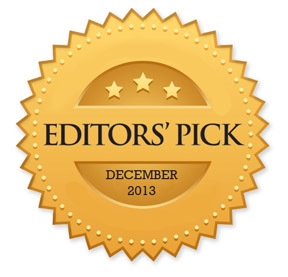 The Canon EOS 70D gets editors pick in "choice gear of the year section" in the December 2013 issue of Outdoor Magazine. This Canon DSLR was also highlighted in the "Best Cameras Under $1,000 article although the price tag is a little above that figure at the time of this writing. 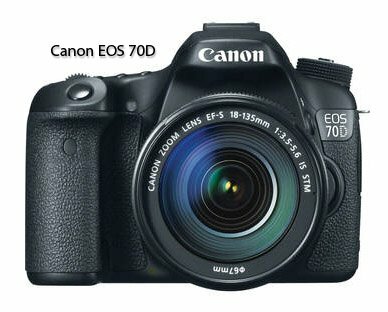 The first reason Outdoor Magazine stated in the description of the 70D was for its Dual Pixel CMOS AF system which I talked about in the Canon EOS 70 Review. I believe this is its biggest accomplishment. I think improved focusing, particularly in the shooting of video, has been one of the biggest shortcomings in the modern evolution of DSLRs to shoot quality video and stills. Outdoor Magazine compared it to the Canon EOS Rebel SL1, which when it was released, was the world's smallest and lightest DSLR. Both have APS-C sized sensors and give great photos. The higher priced 70D will give you just a little bit more performance. Being a nature geek and a camera geek, Outdoor Magazine has a great mix of articles for me on camera, accessories and related gadgets mixed in with nature and wildlife photography tips. These are usually not the scientific and in-depth articles with high level technical lens and shutter tests like you find at dpreview and some of the other camera and lens review web sites that I spend a lot of time reading. They are more general comments related to how the features and camera and lens specifications will affect your photography. One of the other cameras that the 70D is often compared to is the Nikon D7100. It follows one of the most common batltes in the world of digital photography: The epic Nikon vs. Canon argument. Their specs and price tags are fairly similar. The Canon was designed to concentrate on focusing and image technological improvements and appeal to digital photographers who like shooting and using the LCD screen. The Nikon was planned to give the traditional impeccable quality performance that Nikon has worked so hard to project for many decades with its lenses and cameras. Nikon wanted to give the best possible image results in a digital camera that does not come with the expense of a full-frame sensor camera. You can get a great deal on an editor's pick, like the EOS 70D, if you time it right. If you wait until a year or so after a newer model of a camera comes out, the "older" model drops in price. Distributors and retailers need to get rid of their inventory, so they reduce the prices to get consumers to buy. You can use a strategy like this for your camera equipment, for software, and just about anything else where newer versions of products come out every so often. Here's an example of the price drop on a complete Canon 70D kit, reduced by $500. You can use Amazon just like a Google (search engine) to research prices of different models and pay attention to price drops.